Through the ‘Guillaume Bastiaens Family Fund’, Guillaume Bastiaens supports two cultural heritage sites near his home town in Belgium – the Merode Castle in Westerlo and the Abbey of Tongerlo. Belgian native Guillaume Bastiaens has had philanthropy in his blood since he started working with Cargill, the global agricultural commodities company based in Minneapolis, Minnesota. Fresh out of university in 1967, and armed with a degree in chemical engineering, Bastiaens took a position as a refinery supervisor in Amsterdam. “That was a big year for me,” he says. “I got married, left Belgium and started work with Cargill. I was looking to work in a company where I would have an opportunity to try new things, rather than be stuck in a job with no room for advancement.” Cargill was obviously a perfect fit. Bastiaens stayed with the company for 41 years. He held several positions in Europe before moving to the corporate headquarters in Minnesota, where he retired as vice chairman in 2008. 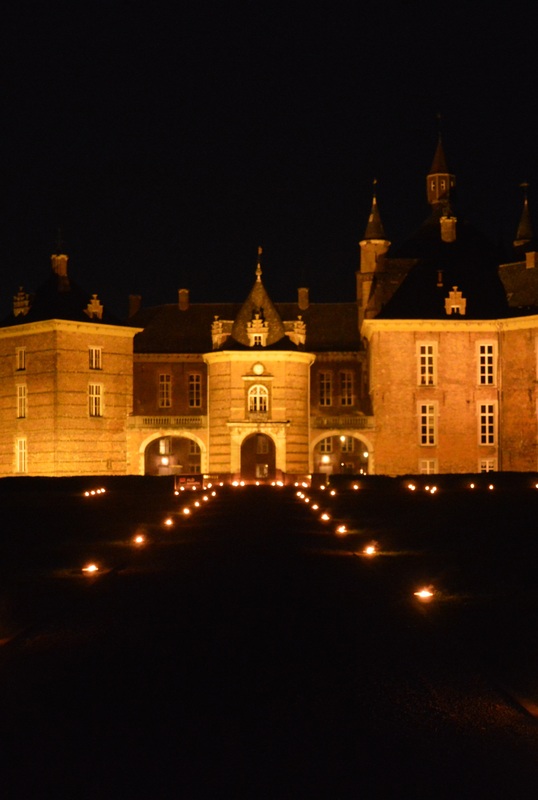 During a visit to Westerlo in 2011, Bastiaens was invited to visit the castle of the Princes de Merode, located just one kilometer from where he was born. Known locally as ‘t Oud Kasteel (the Old Castle), it has been the home of the Merode family for more than five centuries. The central keep was built in the 14th century and other parts of the building date from the 16th century. The castle was adapted, extended and renovated several times. The beautiful interiors contain fine furniture, paintings and tapestries collected by the family throughout the centuries. Back in the U.S., Bastiaens began looking for ways to support the restoration of this significant piece of Belgium’s history, a listed landmark regularly open to the public. That is when he decided to start the Guillaume Bastiaens Family Fund, an endowment fund managed by KBFUS. The Abbey of Tongerlo was established in 1128 and belongs to the Order of Prémontré, founded by Saint Norbert. During one of his trips back home, Bastiaens talked with the abbot about their plans to display all of their artifacts of historical value, from archives to paintings. Since then, the Guillaume Bastiaens Family Fund has provided support for the renovation of the abbey’s Heritage House, where an exhibition of Kallist Fimmers’ works is planned for 2018-2019. The King Baudouin Foundation United States (KBFUS) is the leading resource for philanthropic giving to Europe and Africa – a trusted advisor for U.S. donors seeking to support their favorite causes and non-profits overseas. To learn more about our donor-advised funds, legacy funds and KBFUS ART, please visit kbfus.org.